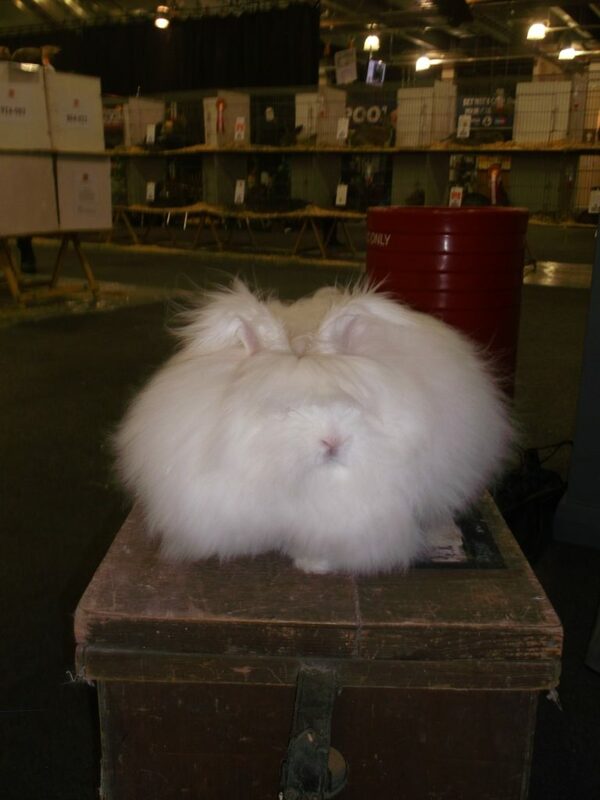 Although there were six adults and one U/5 rabbit were entered only two adults and one U/5 were at the show. 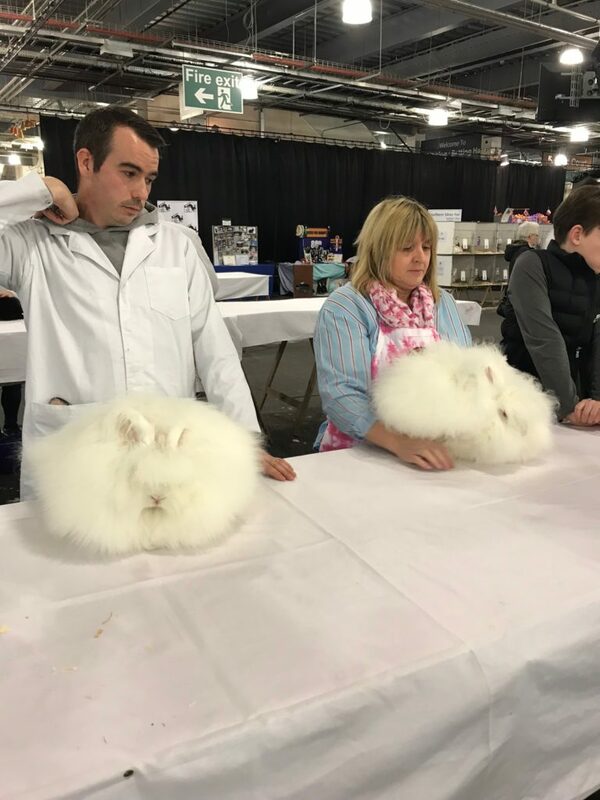 Due to the gap between entering and the show date, it is not always possible to predict what a rabbit might do in that time, some chew, some get stained through excess wetting, and if you feel your rabbit is not up to scratch you dont take it. 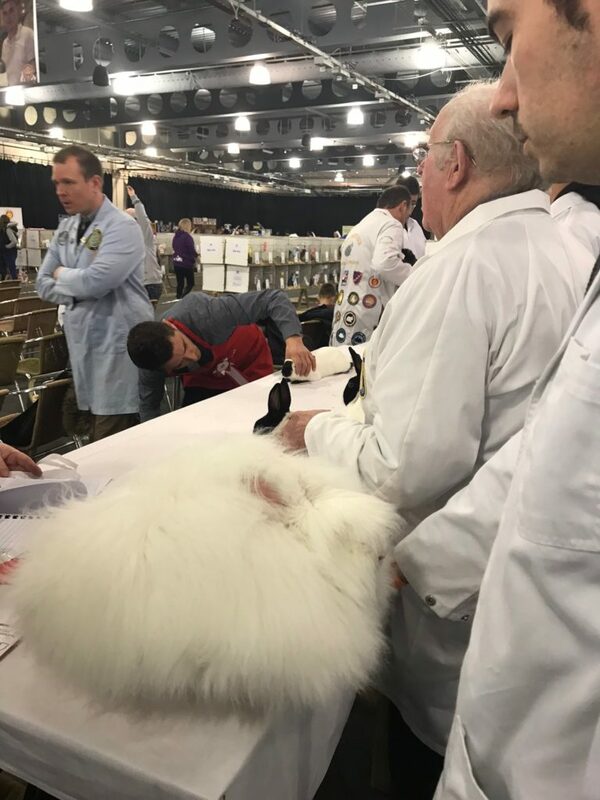 However congratulations to the three that made it, Best Angora going to Foxwood Stud, well done, runner up Richard Grindey-Banks. Both white adults were excellent sadly there has to be a winner as they were both worthy of it. Congratulations to Adel of Foxwood Stud, on winning the U/5 white with Ru who was Best Fancy and also winner of Best Overall St Ledger stakes on the stage. Congratulations too to Richard who came eighth in the Fancy International stakes. 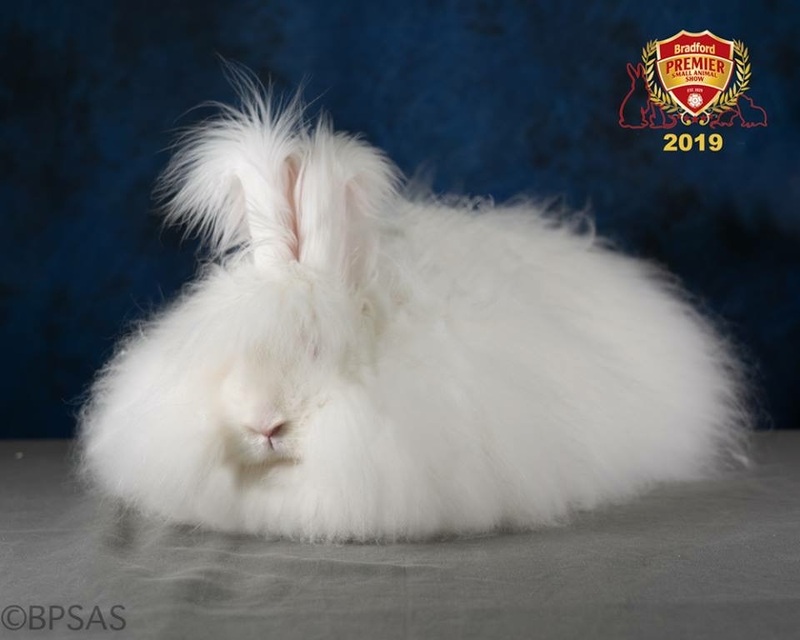 Posted 29/01/2019 by SM & filed under Rabbit Shows, Showing Angoras.